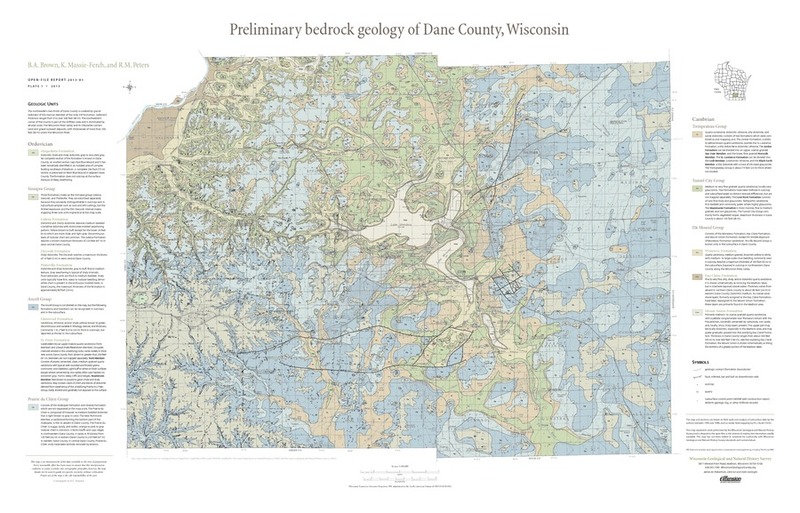 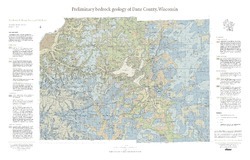 This map, produced at a scale of 1:100,000, reveals the intricate layers of bedrock below Dane County. 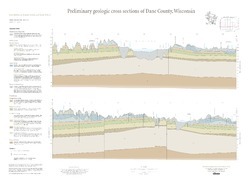 Available as a map (plate 1), cross sections (plate 2), and GIS data. 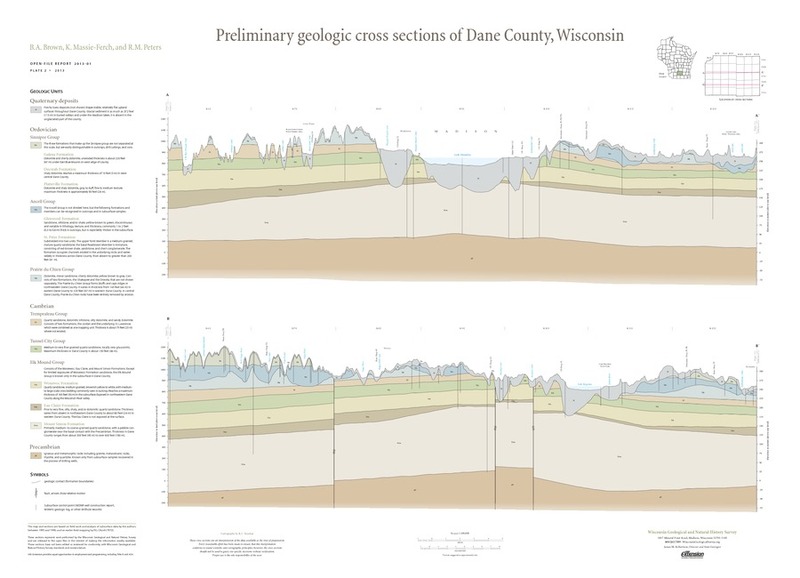 Open-file report; contains unpublished data that has not yet been peer-reviewed. 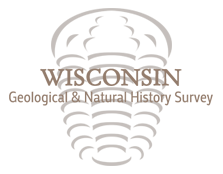 Authors(s): Brown, B.A., Peters, R.M., Massie-Ferch, K.